touch point and milestone of the ownership experience." 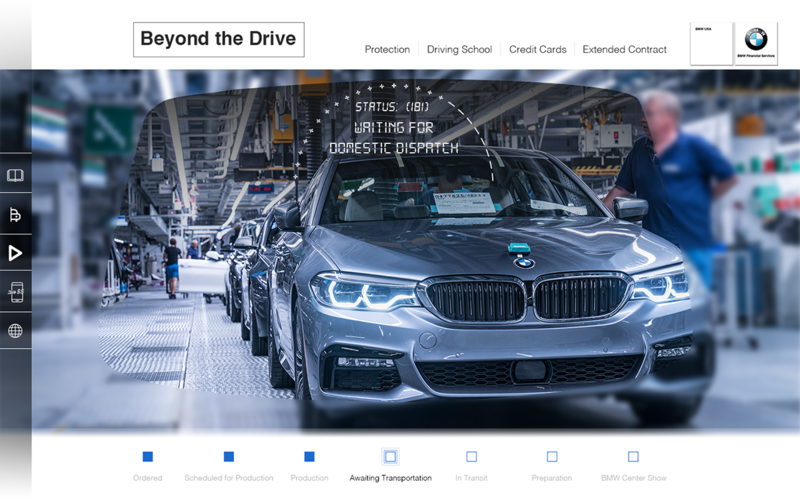 Brand Goal: BMW Financial Services will communicate with the customer during their 6-week "limbo" between ordering and delivery. 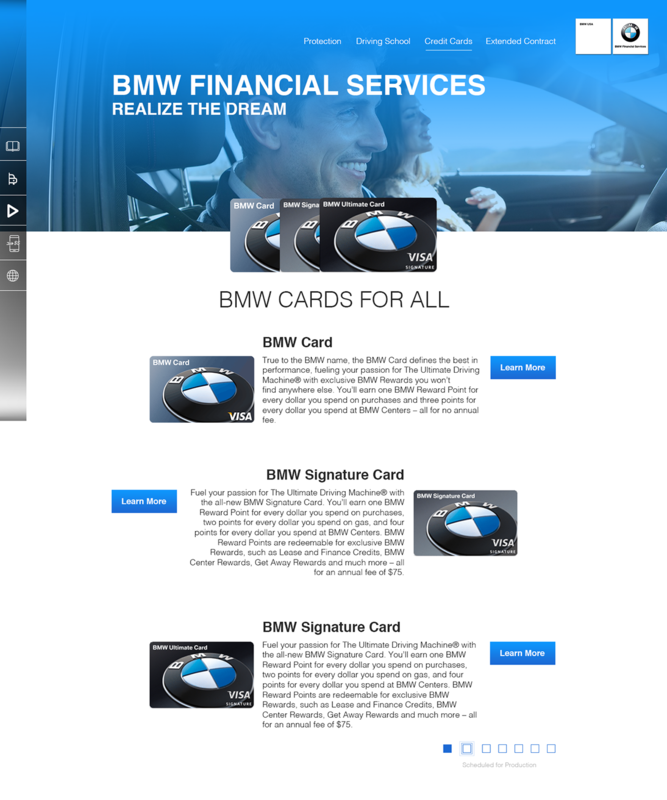 In this phase, car status, financial services product information and services will shown. 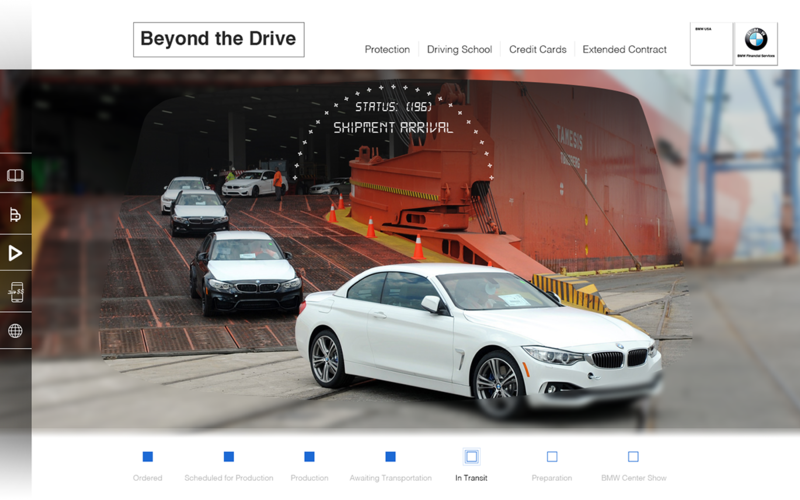 Value Exchange: Helpful, entertaining, informative and useful. 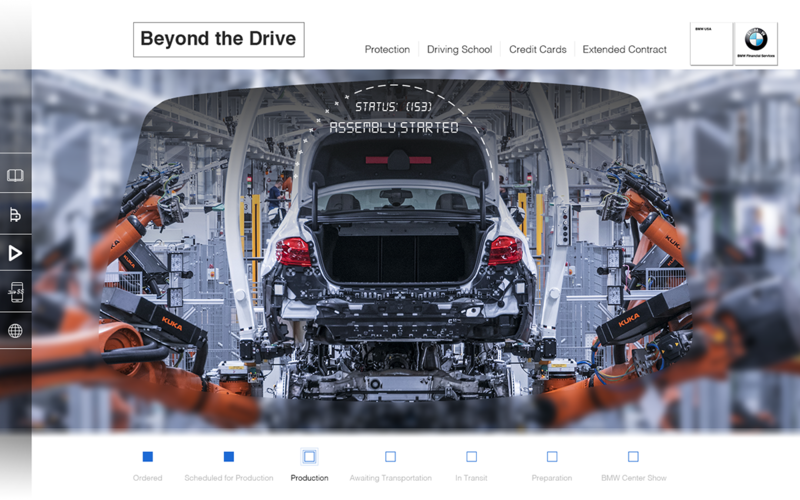 Resources for the customer to learn more about their vehicles. 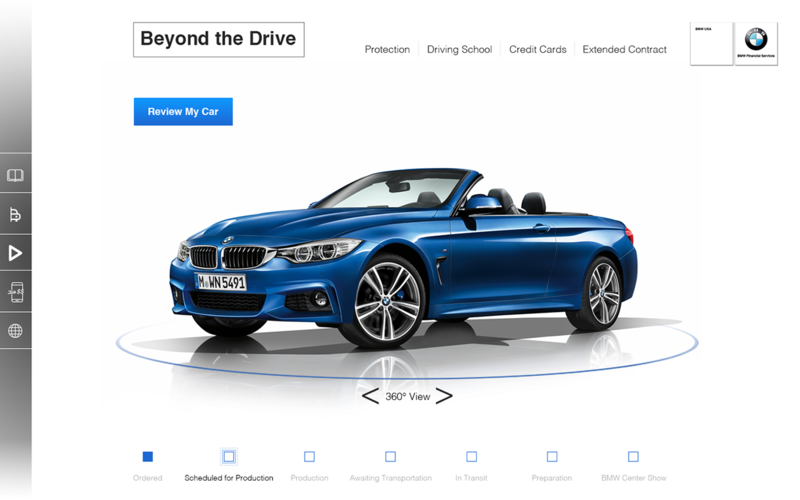 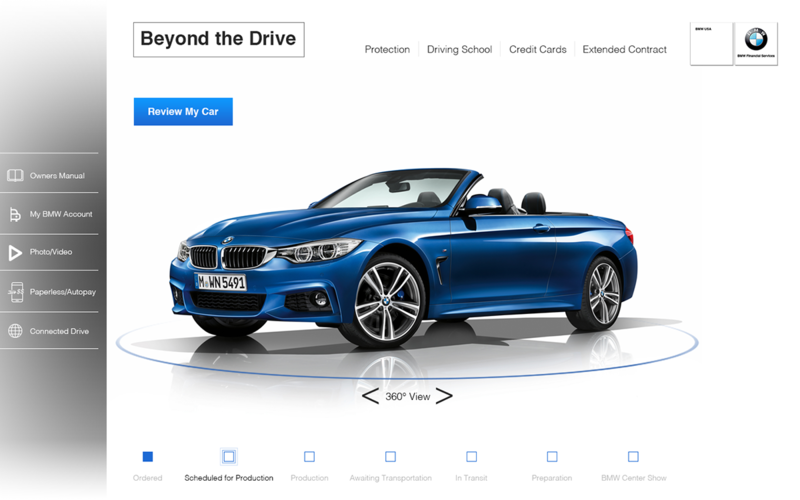 Web Interface for BMW customers to track the progress of their BMW vehicle from order to delivery. 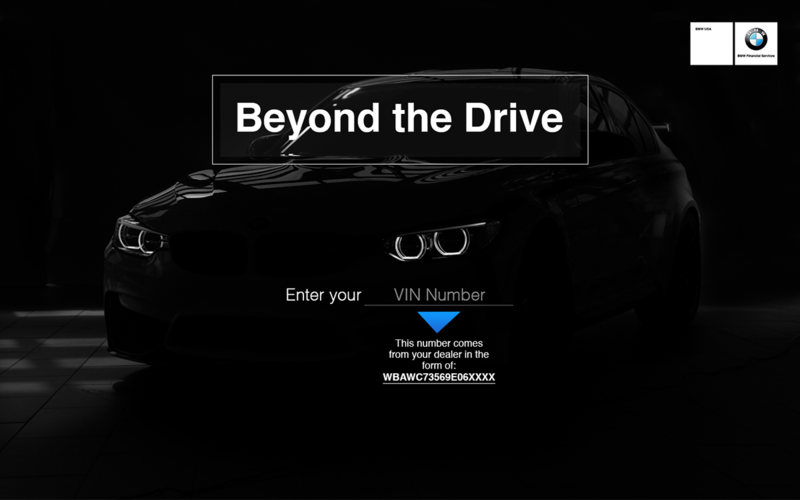 BMW Financial Services will be communicating with customers in their 6-week "limbo" by offering financial services and products in the tracker application.